Hausa films 2019 are spreading hausa culture globally through hausa films, even last year latest hausa films 2018 or the previous year hausa films 2017 or hausa films 2016. In 2019, love is hard, Love is blind but when the one you love is simply not the one for you, alternative measures have to be taken. The hausa Kannywood movie is a block-buster. Aisha and Samir lives happily as a couple, until Aisha's sister Ummi had to come. However, the influence of Hindi Film music on Hausa film soundtrack music films is too obvious. Is it noticeable? It is significant that in almost all Hausa film soundtracks, the songs are duets, with a boy and a girl singings. Yet the Islamized versions use only one voice, either a male or female voice. The Islamic etiquette of not allowing mixed-gender formations effectively prevents a reproduction of the Hindi film soundtrack format in the Islamized versions. Soundtracks from popular Hausa films such as Sangaya, Wasila, Nagari and Khusufi were adapted by Islamiyya pupils, often with Arabic lyrics. The Igbo, Yoruba and Hausa video films all emerged from specific circumstances that gave them markedly different characters. The Hausa videofilms industry is flourishing. It produces more than 1000 hausa films annually, and hausa film stars or hausa fim actors/actress generate a lot of excitement from Kano to Niger,and from Maiduguri to Lagos. "He is barely 21. She is 17. The human race misunderstood their passion. Their affair was so fatal, it shook the nation. A tale of two lovers kept apart by disapproving parents. Tony and Fatima are deeply in love, but Fatima's wealthy and greedy father, Chief Buhari, has arranged for her to marry Musa Mohammad, the son of a very wealthy man who stands to inherit a large sum of money upon his marriage to Fatima." The first Hausa videofilms from 1990 to 1994 relied on traditional music ensembles to compose the soundtracks, with koroso music predominating. The soundtracks were just that - incidental background music to accompany the film, and not integral to the story. These were often singing, but it was itself embedded in the music, for instance during the ceremonies that seem to feature in every drama film. The hausa videofilm to pioneer a change over to electronic music (is the sense of Yamaha keyboard melodies) was In Da So Da Kauna in 1994. The video was an adaptation of a best-selling Hausa noval of the same title. The initial soundtrack for the video was composed with hausa traditional music instruments by the Koroso Entertainment ensemble housed at the Kano State History and Culture Bureau (HCB). It featured the Fulani Sarewa,accompanied by drumming and a lalaje. It was this music that was featured in the film when it was shown throughout cinema houses in northern Nigeria, as was the practice then. However, when the video was screened at the Dawud Cinema in Maiduguri, Borno State, it was pirated, and soon enough a bootleg of the tape was making the rounds in various markets in northern Nigeria. And he decided to include deleted scenes and other changes,as well as compose a different soundtrack, in order to make the second version as different from the bootleg version as possible. It was in the process of seeking a new sound for the home video that he came across Nasir Usman Ishaq Gwale, an artist with a residency at the Kano State History and Culture Bureau. It was the first Hausa videofilm or hausa film with a modern music soundtrack. Clearly seeing the future in keyboard music, Hamisu Lamido Iyan-Tama , an entrepreneur who was to become and actor and producer, decided to invest in a music studio, and in 1996 a music and videofilm studio, Iyan-Tama Multimedia, was formed in Kano. Its first purchase was the Yamaha soft synthesizer series, starting with a PSR-220. The studio then employed Nasir as a consultant resident musician in the studio. The Yahama PSR-220 provided an instant appeal to a Hausa musician seeking ways to explore combinations of sounds without being hampered by the inability toplay real traditional Hausa music instruments. Produce a perfect blend of various instrucments, thus breaking the monopoly of the single instrument characteristic of traditional hausa music. In doing so, it gave hausa videofilm composers the opportunity to approximate the creative space of Hindi film music, which they copied avidly. This was made possible because Yamaha took actual instruments and digitally recorded them, giving the keyboard everything from the standard piano, to a jazz organ, to a distorted guitar, and even a full orchestra voice section. In addition, it features ninety-nine voices to choose from (plus a drum kit). The characteristic of Hausa films can be seen at website www.Hausa Film.com is the love triangle, with or without the forced marriage motif. Be created in which anatagonists are given the opportunity to wax lyrical about their undying love for each other and the extent they are willing to go to cross the Rubicon. Whether curltural (parental, religious), economic (rich-poor divide), political (parents belonging to different political ideologies), or even geographical (separated by different countries) that separates their love. Website www.Hausa Film.com which shows hausa film song-and-dance routine - again echoing Hindi cinema stlye - which is buried within the matrix of the love triangle. The fierce rivalry between suitors is best expressed through long song-and-dance routines, which indeed often tell the story more completely than the dialogue. These are used to embellish the story and provide what the hausa film makers insist is entertainment. This entertainment is also ,arketing strategy aimed at capturing an audience and masking weak storylines in a creative process that sees repetitions of the same narrative in almost all the films. Indeed, in some of the hausa films, the songs themselves become subplots of the main story line in which poetic barbs are thrown at each other by the antagonists. The song and dance sequences do not necessarily have a cohesive relationship to the storylines, as they often are pasted directly on the story and not tied on the narrative. This does not bother either the producers or the audience, what matters is the lyrical power of the song, its tunes, and the costumes the singers (especially the girls) wear. Further more, hausa films, as in Hindi films, songs are the primary vehicles for representing fantasy, desire and passion, so any form of sexual activity in a Hollywood film would most likely be transformed into a song sequence as in Hindi film. Succeeded precisely because of their song-and-dance routines in Hausa film.com videosfilms, rather than because of the strength of their storylines or their messages. The predominance of song-and-dance routines in hausa films, indicates the Hausa fans of Indian movies argue that Indian culture is just like Hausa culture. Instead of focusing on the differences between the two societies, when they watch Indian movies what they see are similarities, especially when compared with American or English movies. Men inHindi films, for instance, are often dressed in long kaftans, similar to the Hausa dogwar riga over which they wear long waistcoats, much like the Hausa falmaran. In these and thousand other ways the visual subjects of Indian movies reflect back to Hausa film viewers aspects of everday life. Or to borrow elements from various Hindi films, rather than go to the trouble of acquiring or completely writing a script. The webite www.hausa films.com, should be advising northern Nigerian Hausa film producers that using European music in Hausa films is contrary to portrayal of hausa culture and traditions in films (videos). Appealing to the hausa films producers to change their style. It is annoying to see a hausa film with a European music soundtrack. Don't thehausa have their own music?... The hausa have more musical instruments than any ethnic group in Nigeria, so why can't films be produced using hausa traditional music? It is easy to say... cultural communication that is suitable or intended to be instructive account for much of the problem and confusion. With Mujalla Hausa film and art culture, the problem seems to be that of cultural communication that is suitable or intended to be instructive. Why is that... you may ask? You see, the hausa films revolves around the themes of culture, tradition and morality, which often presented in a classroom manner. Whilst, with the English and Igbo films, the problem is cultural confusion. They revolve around the themes of love, the quest for wealth, pleasure and power, but often the viewer is left confused as to the cultural point of view from which he is expected to look at the issues. The educated Igbo person has been anglicised. So also are other educated Nigerians, but the educated Hausa is not. Somehow, this culture has provided a certain degree of immunity. Language and religion are major elements of culture. Islam is the dominant region among the Hausas. It is also the dominant religion among other major northern tribes, such as the Fulani, Kanuri and Nupe. The culture that the hausa film presents is the culture of Islam. 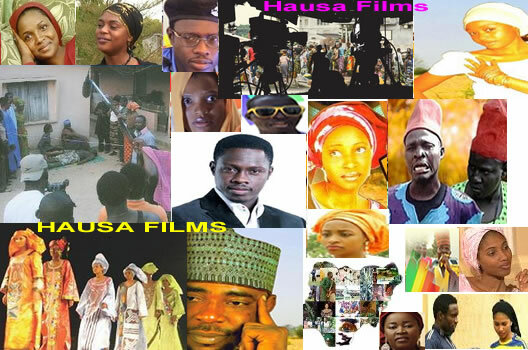 The Hausa film seeks to present a hausa way of life. Hausa is not used merely as a language, a medium of communication,as one would use English or French, or Igbo for that matter. Indeed for some people (though this view is erroneous) the Hausa language is synonymous with the religion of Islam. It is the pervasive presence of Islam as a way of life that gives the Hausa films its distinctive character. In Nigeria, Kano State has the highest concentration of Hausa speaker. Kano is also the commercial nerve center of northern Nigeria. Its reputation as a transcontinental trade center dates back several centuries. It shares its position as the seat of Islam in Nigeria with Sokoto, just as it shares its political position with Kaduna state, the next most important commercial town of the north. Kano and Kaduna are to the north what Lagos and Ibadan or Onitsha (in Anambra State) and Aba (in Abia state) are to the south. It is in these two cities that there has been some meaningful activity in the area of video film productions, meaningful perhaps more in the sense of effort and courage than of number. Since the beginning of the nineties, the Onitsha-Aba axis has churned out video films at the rate of at least one per week. Within this same period (1990-1997), the Kano-Kaduna axis has produced a total of not more than fifty - what Onitsha or Lagos would produce within a single year. Thrity-five of which are recordings (mostly VHS) by drama clubs of their stage performances. Professional video films production is therefore an area that is tsill largely unexploited. According to Mallam Mohammed, only five of the forty video films listed were produced by professionals. Circulation of the hausa films is another problem, one that is obviously due to their lack of popularity even among the target audience. It appears that the produces are overzealous in their desire to preach Hausa culture and the religion of Islam rather than to present their audiences with works of art. This is the fundamental problem of the hausa film maker - to come to terms with the fact that film as a commercial venture is entertainment, period. If there is a fun-loving and film-loving people in Nigeria, it is the Hausas, as is evident in their love for foreign films and music. Recently there has been a burgeoning of the Kano market literature, withat least one Hausa best-selling noval a month. Even in Hollywood, there are films that are not made for the box office. But they are few. Generally, the film audience wants to be entertained. The producer is a businessman and the director is an artist, never a teacher. The hausa audience in particular has demonstrated its love for entertainment and escapism, especially through the farcical and romantic, and if a film does not provide this, it fails to appeal. This also explains the huge success of the Nollywood Igbo films. •et; Zanen Zuci - Latest Hausa Film Movie - Zanen Zuci is a Free Hausa film Movie which is a must watch for all lovers of 2018/2019 Hausa Movies and Films. You can watch this hausa film free of charge via AFOREVO TV Nigeria Limited YouTube Channel when you subscribe to Hausa Movies TV. AFOREVO TV Nigeria limited Channel is the home of the best online African entertainment video contents such as movies, comedies, gospel music, high-life music, talk-shows and many more. Aforevo promise to bring you interesting 2018 the hottest, latest, Hausa, Nigerian movies from the best Hausa production houses. •et; Tsananin Rabo - Nigerian Hausa Nollywood Movie - This hausa film is starring Zaharadee Sani, Jamila Umar, Sadiq.S.Sadiq and is about a young man Kamal who helped homeless young lady Maryam on the street, he sheltered, clothed and fed her. Within a blink of an eye, they both start having feelings for each other, but kamal's mother is agaist their being together as nobody knows where Maryam comes from. •et; Ibro Ba Sulhu - Nollywoodn Hausa Movie 2014 - This hausa film is starring Rabiu Musa Ibro (Popular Hausa Actor), Musa Mai Sana'a, Rabiu Ibrahim Daushe, Rabiu Manra, Amina Garba, Saratu Gidado, Rukayya Sokoto and Lababatu Sheta. •et; Da Kai Zan Gana Nollywood Hausa Movie - This hausa film is starring Sani Danja, Yakubu Muh'd, Zaharadeen Sani and Rahama Sadau. The film is about two brothers who try to stop their elder brother from getting marry to the love of his life because of the atrocity they have done to the girl. •et; Nice Ajalinka - Hausa Nollywood Movie - This hausa film is starring Ali Nuhu, Sadiq S. Sadiq and Aisha Ahmad. The film is about a young man called Aliyu who was poor and went to the city to make his fortune and please his girl. But, on returning from the city to the village found out that the love of his life whom he went to the city to hustle for has been married to another man. •et; Ai'sha - Kannywood Hausa Movie - This hausa film is starring Sadiq.S.Sadiq, Samira Ahmed and Sadik Ahmed. This hausa film is about the lives of a happily married couple - Aisha and Samir, when Ummi (Aisha's sister) had come to temporary stay after her divorce for her "cooling off period marriage/waiting period", at this time a series of event which will shake the whole family unveils. •et; Hujja - Kannywood TV Hausa Film Movie - This hausa film is starring Shu'ibu Lawan, Aminu sharif and Samira Ahmad. This hausa film is about a great barrister/lawyer, Kamal, who has not lost any case. His wife nagging him that she is not happy about what he is doing... "How can he defend those guilty and prosecute those innocent?". But a certain case had barrister Kamal justifying an innocent old man to prison which led to the man's death. As strange events and peculiar happenings of life circumstances, Kamal and colleagues now found themselves being trailed by a strange man who are ready to kill anyone. •et; Auren Bana - Nigerian Nollywood Hausa film movie - This hausa film is starring Muhd Yakubu, Sani Zahradden, Ahamad Lawan and Ali Ali Rabiu. This film is about getting married and in marriage institution you can never graduate. That, in life at times, great men falls in the hands of bad women but something happened at the end. The film is about a young man called Chiroma who has been having nightmares since he got engaged and hears the cry of a certain woman in his dreams. When he look for help and was told he has offfended a lady his his past life and must seek out for forgiveness. •et; Gargar Jiki - Nollywood Classic Hausa Film Movies TV - This hausa film is starring Ali Nuhu (Most prominent figures in Kannywood hausa films, Nigerian actor, producer and director), Rahama Saddau and Abdul M. Shariff. The film is about a young man Ajnan, who sacrificed his wife for his younger brother just to please them. Nafalo and Sailuba are always seeing their selves in dream which made her not to give her love to any man only her dream lover. •et; Matar Jami'a - Aforevo Hausa Film Movie - An hausa film by 17/18 Motion Pictures Enterprises - "Entertainment Blended with Morality". This hausa film is starring Ali Nuhu, Ibrahim M. Mandawari, Halima Atete, Hajara Usman, Hannatu Bashir, Haruna Aliyu and Maryam CTV. The film is about two lovers, Fadila and Muh'd who agreed before getting married that Fadila will continues her education still after they are married. But Muh'd could not agree of her studies conflicting with their marriage. •et; Naira 1 - Kannywood TV Hausa Film Movie - This hausa film is starring Rabilu Musa Ibro, Ahmed Tage and Bello.M.Bello. "Even the prophet is very audacious with good scent"... as he embarrassed full grown up men. "You are very stupid really". For what? - the big tall man ask?... "Because you're taller than anyone here. But why can't you bend down?". Very funny hausa film which is a must watch for all lovers of 2019 Hausa Movies and Films. •et; Butulu - Nollywood Hausa Movies - This hausa film is starring Adam Zango, Nafisa Abdullahi and Fati Fagge. This is a film about a woman who found out that her husband had a secret wife lover and she decided to show him and the lover a piece of what she is made of, but what happened will shock you. •et; Akan Kishi - Latest KannywoodTV Hausa Movie - From Da Sunan Allah Mai Rahma Mai Jin Kai film. This hausa film is starring Ke Gabatar Da, Tahir M. Fagge, Saratu Gidado, Samira Kaduna and Aisha Nap. •et; Karuwa Ko Matar Aure - Kannywood Latest Hausa Movies - This hausa film is starring Aina'u Ade, Tanimu Akawu and Maryam Idris. This hausa film is about Good man called Wada, who was a perfect husband until he met the love of his life, Halima. After a long relationship with Halima, they decided to marry without his first wife's knowing. Now he is trying to live a double live with two seperate women. •et; Ladingo - Latest Kannywood TV Hausa Movie - This hausa film is starring Sadiq.S.Sadiq, Ladidi Fagge and Rahama Hassan. This hausa film is about a man, Selim and his wife has to suffer greatly on the hand of his supposed mother when they moved to the village. This hausa film Sandar kiwo is about an access to justice by hausa women who live under the Islamic Sharia law in northern part of Nigeria. The film put emphasis on the legal options to justice available to women under muslim sharia law community. Hausa Film Sandar Kiwo, look to highlight and draw attention to the violation of women's rights by men who often hide under the guise of culture and traditional to deny women rights that have been enshrined by Islamic Sharia law. The Sandar Kiwo film is one of the few carefully selected hausa film scripts which was a product of Women living in Sharia Nigerian states which emanated from a research carried out by Centre of Islamic and Legal Studies (CILS) of Ahmadu Bello University, Zaria on improving the condition of Muslim women in Northern Nigeria. You may really miss the Dan Ibro, nice and funny film of Hausa movie trailer...Hausa film? Go and watch hausa movies videos on Youtube.com ... IBRO YA AURI BATURIYA HAUSA NOLLYWOOD MOVIE Movies. IJAABA HAUSA NOLLYWOOD MOVIE Movies.